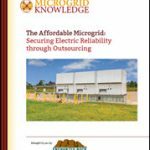 Nexant’s Diana Husmann describes small business segments with big energy savings potential. Some of them may surprise you. Auto Shops. It might surprise you that I’m starting with auto shops, but these are a great target segment! These customers don’t have the most advanced HVAC systems, but they want to be more comfortable, so they are more likely to install heaters, programmable thermostats and other measures with deep savings. Grocery. Grocery stores have a lot of lighting and long hours, so they really benefit from lighting upgrades like T8s or CFLs. Retail. I know that PGL and NBI already mentioned retail, but I’m going to go ahead and say that all retail buildings (freestanding or not) are worth targeting. These customers love the non-energy benefits of lighting – like being able to sell more products because they look better – so they are naturally drawn to LEDs. Dry Cleaners. If you want to save natural gas, then dry cleaners are the customer for you. Most have leaky steam traps that are super cost-effective to replace. The engineering can be tricky (many businesses overestimate their savings), but don’t let that stop you, because even the most conservative calculation will make this segment worth the effort. Churches. Churches and other houses of worship are great not because of their measures but because of their networks. Once you satisfy one customer, they tend to bring in many more. In fact, one church hosted an open house to show off their new equipment and share about our program. Strip Malls. What can I say? I have to agree with PGL and NBI on this segment. Small Business programs not only benefit from their energy savings potential but also their cost-effectiveness – I’ve heard of people visiting 12 customers in one day in a strip mall. I hope these segments inspire you to target more customers in your small business program, but don’t take my word for it – ask around! Trade allies often have great insight in their markets, and local community organizations can also suggest key segments or groups you can tap. 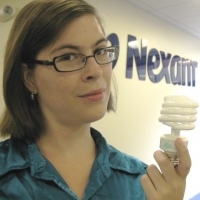 Diana Husmann is an analyst in Nexant’s Offering Development group.